2018 has seen the acceleration of modern infrastructure from public cloud, SaaS, hybrid and SD-WAN. 2019 will see enterprises feeling the impact of this dramatic shift more than ever. SD-WAN adoption is on the rise, and with it, the enterprise’s growing dependence on the Internet. Before moving to SD-WAN, most enterprises only had to worry about Internet performance from its data centers to key services. 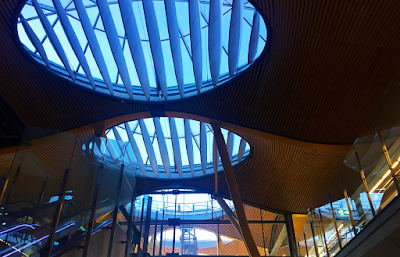 With SD-WAN, they’re increasingly leveraging DIA and broadband connectivity and grappling with hundreds or thousands of sites, each of which will have distinct Internet paths to many different cloud-based services. Shifting from a carrier managed service to the Internet, means that there’s an exponential rise in the number of service providers that can potentially impact performance for branch office users. As a large number of enterprises move from deployment into their operations stage in 2019, the impact of Internet unpredictability will become more evident. As a result, more enterprise IT teams will start to develop operational capabilities to deal with Internet-centric issues. Enterprises and SaaS providers are increasingly leveraging third-party APIs and cloud-services as part of their web and application architectures. This distributed, microservices approach to building applications not only provides best-of-breed functions, it enables companies to quickly consume and deliver new services. Applications today might leverage dozens of APIs to handle services such as messaging and voice, maps, and payments, while also connecting to cloud-based services such as CRM, ERP and analytics. Websites are also getting weighed down by the addition of many externally hosted applications. Even a seemingly simple “Buy Now” function on an ecommerce site will invoke many external services, including payment gateways, CRM, analytics, inventory, fulfillment, and potentially many others. The weight of all of these external dependencies means that websites are going to continue to get slower, while at the same time their risk surface increases. Since these services are not internally operated, isolating the source of a problem when something goes wrong can be challenging, particularly since these services are connected to over the Internet. The question of whether the application or the network is at fault will become “Which application?” and “Which network?”. Understanding the tradeoff of function over user experience and knowing how every third-party web or app component impacts performance will get even more critical to enterprises and SaaS providers in 2019. Eric Schmidt, former CEO of Google, famously predicted that the Internet would bifurcate into a US-led Internet and a Chinese-led Internet by 2028. While we still have plenty of time to see how this prediction plays out, in the near term, the Internet is shifting towards fragmentation. Multiple nation states, including Iran, Turkey, Saudi Arabia, and Russia, have joined China in creating a walled-off Internet, using a variety of technical, social, and political techniques. As more countries pursue nationalist agendas and choose to opt out of regional or global alignments, we will see increasing Internet fragmentation. This will initially take the form of politically-motivated censorship, but will expand to include the broader curation of connectivity based on politically-prescribed social and cultural norms. While the data center will continue to lose ground in favor of cloud, enterprises still early in their cloud journey or who have special security or regulatory constraints will keep hybrid cloud alive. 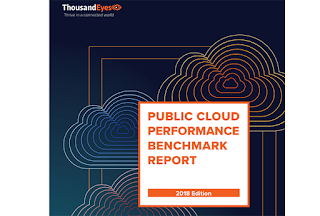 To extend their reach into the enterprise data center, public cloud providers have begun offering on-premises solutions, featuring greater agility, favorable economics, and a single pane of glass for management. While still in its early days, Azure Stack has already announced that it has deployed customers, while newly announced AWS Outpost (scheduled to release in the second half of 2019) has the potential to be highly disruptive to the data center landscape. 2019 will see an increased tilting of hybrid towards public cloud providers, though a lack of maturity may cause an initial freezing of of the hybrid market, particularly for AWS customers, who will want to consider an AWS offering over existing network providers once commercially available. Early edge architectures, where the data of billions of IoT devices is notionally processed at central points by infrastructure in public cloud or private data centers, presented challenges, ranging from security to physics (increased latency) and cost (bandwidth). The introduction of intermediary nodes into edge architectures will address the latency and security concerns of a strictly core/edge architecture, moving edge deployments in 2019 from largely theoretical to realizable. Intermediary nodes are designed to perform some of the processing functions of the cloud closer to the edge, which will help ensure better performance and scale for users and devices and help drive IoT and edge deployments. These nodes are already available from a variety of vendors, including public cloud providers, such as Microsoft. 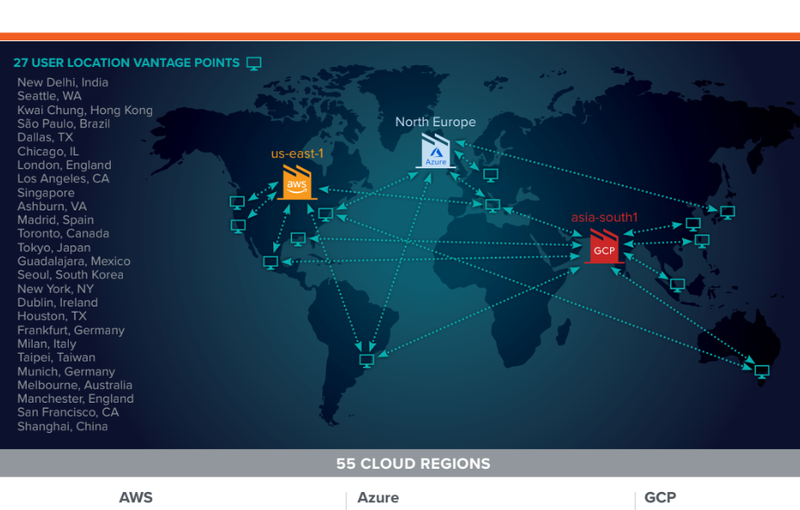 Microsoft has previously stated that they want their Azure cloud data centers be 50ms from everywhere. These new intermediary nodes will help extend the reach of cloud-centric infrastructure to the range of single digit milliseconds and make IoT and edge computing aspirations a reality. The pervasive risk associated with offering a digital service has forced most large enterprises and digital businesses to employ sophisticated systems of defense. These systems are designed to handle increasingly large-scale attacks, such as the one launched against GitHub earlier this year. That attack was the largest ever recorded and although it was disruptive, it was successfully mitigated through a highly elastic cloud-based DDoS protector called Prolexic. 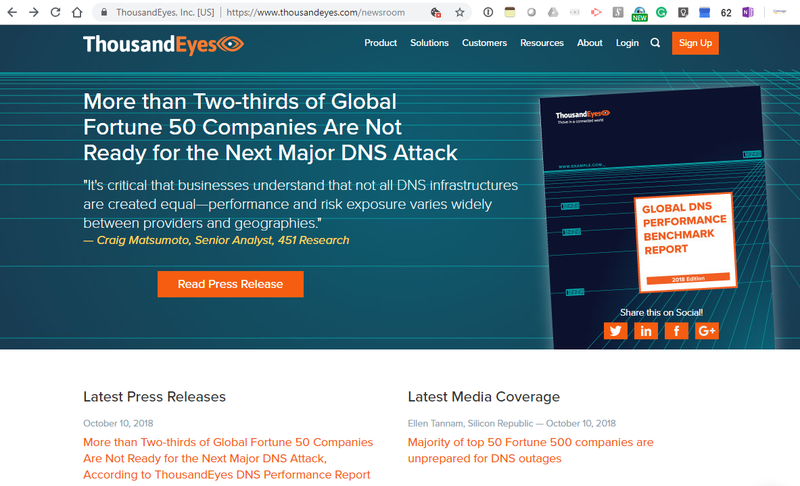 This and other tools make launching an impactful attack against a high-value target more challenging to pull off, which may be one reason why the number of DDoS attacks is trending downward, particularly in North America and Europe. This doesn’t mean that cyber attacks are going away. 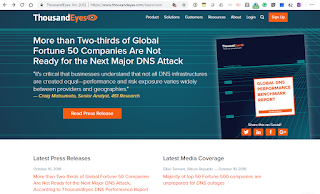 Cyber attacks will continue to make headlines in 2019, but they will largely take an indirect approach, exploiting relational weaknesses in foundational Internet systems, such as DNS and BGP routing. Two incidents this year, one malicious, the other unintentional, underscored the vulnerability of even the most sophistical digital businesses to service disruption. In the case of the malicious incident, Amazon’s DNS service, Route 53, was hijacked, which enabled a cryptocurrency theft and led to many customer sites, including Instagram and CNN, becoming partially unreachable. The attackers who pulled off this digital hijacking and robbery made no attempt to penetrate Amazon’s infrastructure. Instead, they compromised a small Internet Service Provider in Columbus, Ohio, using them to propagate false routes to Amazon’s DNS service. The implicit trust built into Internet routing allowed this attack to take place. The fact that the hijacked service (translating URLs into Internet addresses) is a critical dependency meant that the impact was massive and went far beyond the intended target. Indirect attacks, taking advantage of critical dependencies outside of the control of the intended target, will continue to grow in 2019, netting more high-profile victims while maximizing the scope of collateral damage. Now that SaaS has mainstreamed, with most enterprises shifting their application consumption model from internal to the cloud, we can expect to see a follow-on shift in IT operations stacks in the coming year, as more enterprises begin to realize that the existing toolset is not oriented to address externally-hosted applications. The traditional IT operations stack is rich with tools, but as the usage of SaaS applications and cloud-based services has increased, the domain of many of these tools is narrowing, exposing gaps in visibility for SaaS applications and their delivery over the Internet. Network tools that collect data from on-premises will see a reduction in usage and budget allocation, making room for cloud-specific tools and technologies designed to provide visibility into networks and services that enterprises rely on (such as ISPs and SaaS apps) but that they do not own or control. This new operations stack will continue to feature traditional toolsets, but its proportional emphasis will favor cloud-focused technologies.